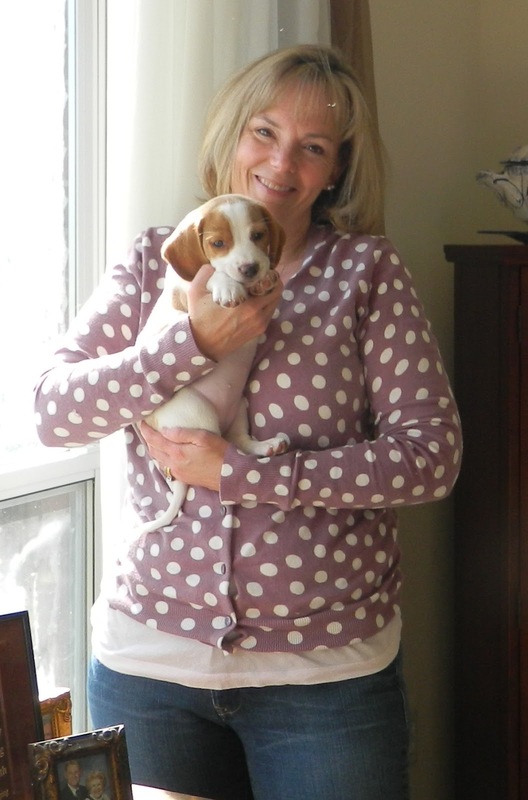 Congratulations to "Patti F", the winner of Catherine's giveaway. Thank you to all who participated. 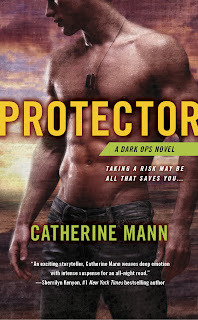 Today we have USA Today bestselling author, Catherine Mann with us to share a little about herself and to award a copy of her new release, PROTECTOR to one lucky commenter. Given the nature of this website, I have to ask...why romantic suspense? What draws you to the genre? I’ve been a fan of a good mystery since I devoured all the Nancy Drew books as a kid. As I answer these interview questions, I have Netflix playing a marathon of the show “24” – holy cow, is Jack Bauer a great hero! I love the edge-of-the-seat situations that bring out the true nature of the character. The good become better, the bad show their true colors. There’s no time for the luxury of artifice in a race against time for good to triumph! Is it dangerous being a romantic suspense author? Personally, I’m a wimp – scared of everything from snakes to needles. Although in some ways, I think that helps me motivate my heroines all the more so they’re not TSTL (too stupid to live). I think hard about what would push me past my fears and make me take a stand, fight back with no holds barred. But in answer to your question – is it dangerous? Perhaps in that it stirs some hefty nightmares for a wimp like me if I work right up to bedtime. Have you ever experienced a Deja Vu moment, where you find yourself in a scene from one of your books? I’m not sure if you would call this Déjà Vu, but my husband (who proofs my books for me) used to tease me about how I would discuss my characters like they’re real people. Then one day when we were shopping, he pointed to someone and said, “Hey, look. There’s the hero from that book you just wrote.” Then my hubby stopped and grinned, realizing what he’d done. He conceded that yes, the characters do become real to us after all. I’m from the south and so it’s common to say, “I’m going ‘up” to…” because most places are north. Even if you are going south, it’s not uncommon to say “I’m going up the road to….” It’s an idiomatic thing. In an early book I wrote, I noted that the hero was flying “up to” a certain place, when actually the place was south of where they were located. A reader quickly noted my error – especially frustrating because I there was nothing I could do to fix it. What is one stereotype about authors that is completely wrong? QUESTION: Speaking of being accessible online, are you a Facebook or Twitter addict? Or a blog-a-holic? One commenter will be chosen at random to win a copy of PROTECTOR, Berkley Sensation, March 2012. Giveaway ends 9pm EST March 13th. Please supply your email in the post. You may use spaces or full text for security. (ex. jsmith at gmail dot com) If you do not wish to supply your email, or have trouble posting, please email justromanticsuspense @ gmail.com with a subject title of JRS GIVEAWAY to be entered in the current giveaway. We have an email entry from "Aretha" who says she experiences deja-vu moments when she meets her boyfriend at the carousel. I am a twitter addict. It is so fun to interact on twitter with others who share the same interests. I follow many authors and love to find out about new books and new authors. Great interview and I am looking forward to reading this book. I love reading about military men and the women they love. Good morning, everyone! Sorry to chime in late - my college son's car broke down on the way back to school (2nd breakdown in 2 days - argh) so I was up late! Looooooove the Aretha comment! So glad you shared that Maureen! Thank you, LS! So glad to hear you enjoy military romance novels - I enjoy reading them as much as writing them. Thanks for the comments and goodluck to all who entered the contest! OMG. I am on facebook so many times a day. And the blogs!! I must follow over a dozen. I was always worried that if I quit work i would become addicted to the Soaps like my mother .. nope .. I'm on the internet at my laptop or my Droid. Which is actually WORSE than my mother ..
Love romantic suspense books .. I need the action and hanging on the edge. Military romances seem to have the best alpha heros. Would love to win a copy of your latest. Thanks for the chance to win!! P.S. sorry about the car trouble. I have a Twitter account, but never use it. I'm on FB at least every day and have several author blogs that I try to visit every day. Would love to win, I adore your stories! Hello Cathy, hope the day is going well for you so far. I am an everything...Fber, tweeter, blog hopper, and most recently blogger. I haven't touched Pinterest though...I think it will be the death of me to add something more to my plate. Cathy, you are right in that the easy accessibility of authors via the Internet is making some changes in the way people think about romance writers. Just getting to know them on a more "personal" level enables me to share my experiences with others. I get to open their eyes to the fact that your lives are not glamourous, and it gives me the opportunity to change the way they view romance as a genre as well. I have changed a couple of minds because I know a lot of people who still say "you read those books". I must say that sometimes they see the cover of "those" books and their minds change...lol! Yes, yes and yes! I am addicted to Twitter, FB and blogs. 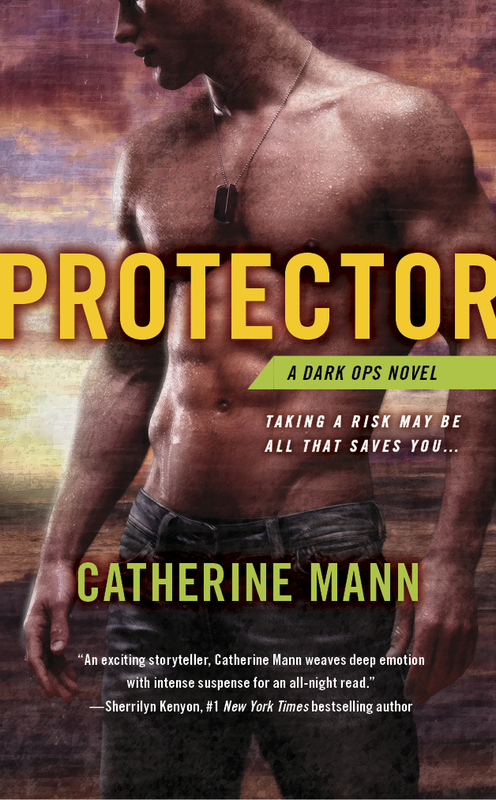 I would love a copy of Protector! Your books are the best. Email: mickicakes73 at yahoo dot com. I am a definite Facebook addict. I get grief from my husband, but I still can't pull myself from the computer. I like to write and I tell myself I am at the computer to write, but I might as well face it - I am obsessed with Facebook! :) Here's my email: landjk8@windstream.net - Hope I win!!!!!!! I am definitely a Facebook addict. When my hubby & I vacationed for a week in Scotland last summer the first thing I did at the hotel after we checked in was head to the computers to access Facebook. I had to keep my friends updated on the assignment they gave me - something about what the guys wear under their kilts. LOL This book most definitely sounds like one I will just HAVE to read. I have Facebook so I can easily stay in touch with friends & family who don't live near me. I try to check it at least once a day but have been known to go over a week in between visits. I don't use Twitter at all. I am a Catherine Mann fan, through and through. The Protector was next on my 'to buy' list, and just tickled to see there's a lot to look forward to in the next few months. I love romantic suspense and I love the military - why did you choose the military for your heroes? Thanks for the chance! Great interview! The book sounds very good. Yes, I am addicted to FB and Twitter. I think I am worse then the kids. I would love to win a copy of Protector. Love all of Catherines book's. Thanks for the great giveaway!!!! I visit a number of blogs each day. It's a great way to learn more about authors, works in progress and the release of both new and older books. I mostly check my favorite book blogs to see what books they are talking about. Many thanks to all of you for coming over to visit and post! You've been a bright spot in my zany day used car hunting for my son. Hi, my name is Cari and I am a Facebook (and Twitter) addict. Seriously, I follow a number of my fav authors and Cathy is definitely one of them. Cathy, you are definitely relatable. I' admire your family's service to our country and the animal fostering that you do. Again, relatable. By the way Chuck Tanaka's story in "The Protector" rocks! Read it and enjoy! I have had the pleasure to connect with numerous other authors as well as readers online and think it's pretty funny how far off that luxurious stereotype is! I am more a blog addict than anything else! Catherine, I say going up to all the time! (I'm from Miss.!) I've read the first 2 books in this series and loved them. I can't wait to get my hands on this one.